Up until now, we’ve mostly been talking about things that have happened or changed in the course of events. We will now learn some simple grammar to express a lack of change. Is it ok just like this? In other words, the clerk wants to know if you’ll take it just like that or whether you want it in a small bag. 「宜しい」, in case I haven’t gone over it yet, is simply a very polite version of 「いい」. Notice that 「まま」 grammatically works just like a regular noun which means, as usual, that you can modify it with verb phrases or adjectives. You can’t throw it out leaving it in that half-eaten condition! Ok, the translation is very loose, but the idea is that it’s in an unchanged state of being half-eaten and you can’t just throw that out. Here’s a good example I found googling around. Hint: The 「いさせる」 is the causative form of 「いる」 meaning “let/make me exist”. For only today, I want you to let me stay in this sad condition. Finally, just in case, here’s an example of direct noun modification. You can’t get in the club in that getup (without changing it). The verb 「放す」 meaning “to set loose”, can be used in various ways in regards to leaving something the way it is. For instance, a variation 「放っとく」 is used when you want to say “Leave me alone”. For instance, you might use the command form of a request （くれる） and say, 「ほっといてくれ！」(Leave me alone!). Yet another variant 「ほったらかす」 means “to neglect”. The grammar I would like to discuss here is the 「っぱなし」 suffix variant. You can attach this suffix to the stem of any verb to describe the act of doing something and leaving it that way without changing it. You can treat the combination like a regular noun. Here’s a link with more examples of this grammar. As you can see by the examples, this suffix carries a nuance that the thing left alone is due to oversight or neglect. Here are the (simple) conjugation rules for this grammar. Take the stem of the verb and attach 「っぱなし」. There exists a fair number of people who cannot sleep unless they turn on the TV and leave it that way. The window was left wide open so a lot of mosquitoes got in. In this lesson, we will go over various ways to express actions that take place in a certain time-frame. In particular, we will learn how to say: 1) an action has just been completed, 2) an action is taken immediately after another action took place, 3) an action occurs while another action is ongoing, and 4) one continuously repeats an action. This is a very useful grammar that is used to indicate that one has just finished doing something. For instance, the first time I really wished I knew how to say something like this was when I wanted to politely decline an invitation to eat because I had just eaten. To do this, take the past tense of verb that you want to indicate as just being completed and add 「ばかり」. This is used with only the past tense of verbs and is not to be confused with the 「ばかり」 used with nouns to express amounts. Just like the other type of 「ばかり」 we have covered before, in slang, you can hear people use 「ばっか」 instead of 「ばかり」. To indicate that an action has ended just recently, take the past tense of the verb and add 「ばかり」. You can treat the result as you would with any noun. Sorry, but I’m full having just eaten. I just ran 10 kilometers and am really tired. I got back home just now. Here are some examples of the abbreviated version. Despite the fact that I just ate lunch, I’m hungry already. No way, did you wake up just now? Kind of as a supplement to 「ばかり」, we will cover one way to say something happened as soon as something else occurs. To use this grammar, add 「とたん」 to the past tense of the first action that happened. It is also common to add the 「に」 target particle to indicate that specific point in time. Change the verb that happened first to the past tense and attach 「とたん」 or 「とたんに」. ※Note: You can only use this grammar for things that happen outside your control. As soon as I opened window, cat jumped out. For many more examples, check these examples sentences from our old trusty WWWJDIC. An important thing to realize is that you can only use this grammar for things that occur immediately after something else and not for an action that you, yourself carry out. For instance, compare the following two sentences. You can use 「ながら」 to express that one action is taking place in conjunction with another action. To use 「ながら」, you must change the first verb to the stem and append 「ながら」. Though probably rare, you can also attach 「ながら」 to the negative of the verb to express the negative. This grammar has no tense since it is determined by the second verb. Like to walk to school while listening to music. Don’t you think that wanting the other person to understand one’s feelings while not saying anything is just simply selfishness? Notice that the sentence ends with the main verb just like it always does. This means that the main action of the sentence is the verb that ends the clause. The 「ながら」 simply describes another action that is also taking place. For example, if we switched the verbs in the first example to say, 「宿題をしながら、 テレビを観る。」, this changes the sentence to say, “Watch TV while doing homework.” In other words, the main action, in this case, becomes watching TV and the action of doing homework is describing an action that is taking place at the same time. The tense is controlled by the main verb so the verb used with 「ながら」 cannot have a tense. Watch movie while eating popcorn. Watched movie while eating popcorn. Was writing letter while whistling. You can also attach the inclusive 「も」 particle to 「ながら」 to get 「ながらも」. This changes the meaning from “while” to “even while”. While it’s unfortunate, a lot of work came in and it became so that I can’t go today. Even while I’m poor, I ended up buying a high quality bag. Even while he is a beginner, his actual skills are the same as a pro. The WWWJDIC very succinctly defines the definition of this verb as a “verb suffix to indicate reckless abandon to the activity”. Unfortunately, it doesn’t go on to tell you exactly how it’s actually used. Actually, there’s not much to explain. You take the stem of the verb and simply attach 「まくる」. However, since this is a continuing activity, it is an enduring state unless you’re going to do it in the future. This is a very casual expression. Change the first verb to the stem and append 「まくっている」. You can use all the normal conjugations you would expect with any other verb. Having gotten hooked by games, I do nothing but use the computer lately. When I was in the US, I drank coke like all the time. In this section, we’re going to learn how to make hypotheses and reach conclusions using: 「とする」 and 「わけ」（訳）. The noun 「わけ」（訳） is a bit difficult to describe but it’s defined as: “meaning; reason; can be deduced”. You can see how this word is used in the following mini-dialogue. Naoko: No matter how much I study, I don’t become better at English. Jim: So basically, it means that you don’t have ability at language. As you can see, Jim is concluding from what Naoko said that she must not have any skills at learning languages. This is completely different from the explanatory 「の」, which is used to explain something that may or may not be obvious. 「わけ」 is instead used to draw conclusions that anyone might be able to arrive at given certain information. Under the normal rules of grammar, we must have a particle for the noun 「わけ」 in order to use it with the verb but since this type of expression is used so often, the particle is often dropped to create just 「～わけない」. Naoko: Have you ever gone to Hiroko’s house? Ichirou: There’s no way I would have ever gone to her house, right? Naoko: Do you understand (differential and integral) calculus? Ichirou: There’s no way I would understand! There is one thing to be careful of because 「わけない」 can also mean that something is very easy (lit: requires no explanation). You can easily tell when this meaning is intended however, because it is used in the same manner as an adjective. It’s easy to pass the tests here. Finally, although not as common, 「わけ」 can also be used as a formal expression for saying that something must or must not be done at all costs. This is simply a stronger and more formal version of 「～てはいけない」. 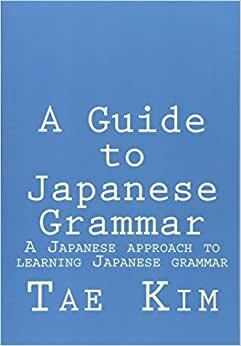 This grammar is created by simply attaching 「わけにはいかない」. The 「は」 is the topic particle and is pronounced 「わ」. The reason 「いけない」 changes to 「いかない」 is probably related to intransitive and transitive verbs but I don’t want to get too caught up in the logistics of it. Just take note that it’s 「いかない」 in this case and not 「いけない」. This time, I must not lose at all costs. After coming this far, I must not give up. While this next grammar doesn’t necessarily have anything directly related to the previous grammar, I thought it would fit nicely together. In a previous lesson, we learn how to combine the volitional form with 「とする」 to indicate an attempt to perform an action. We will now learn several other ways 「とする」 can be used. It may help to keep in mind that 「とする」 is really just a combination of the quotation particle 「と」 and the verb 「する」 meaning “to do”. Let’s say you have a sentence: [verb]とする. This means literally that you are doing like “[verb]” (in quotes). As you can see, when used with the volitional, it becomes: “Doing like making motion to do [verb]”. In other words, you are acting as if to make a motion to do [verb]. As we have already seen, this translates to “attempt to do [verb]”. Let’s see what happens when we use it on plain verbs. If we suppose that we go from now, I think we will arrive at 9:00. Received favor of allowing to participate as spectator. As a victim, was extremely fortunate. Even assuming that you ate breakfast, because it’s already noon, you’re probably hungry, right? The same idea applies here as well. In example 1, you are doing like a “spectator” and doing like a “victim” in example 2 and finally, doing like you ate breakfast in example 3. So you can see why the same grammar applies for all these types of sentences because they all mean the same thing in Japanese (minus the use of additional particles and various conjugations of 「する」). We already learned the most common type of negative verbs; the ones that end in 「ない」. However, there are couple more different types of negatives verbs. The ones you will find most useful are the first two, which expresses an action that was done without having done another action. The others are fairly obscure or useful only for very casual expressions. However, you will run into them if you learn Japanese for a fair amount of time. Way back when, we learned how to express a sequence of actions and this worked fine for both positive and negative verbs. For instance, the sentence “I didn’t eat, and then I went to sleep” would become 「食べなくて寝た。」 However, this sentence sounds a bit strange because eating doesn’t have much to do with sleeping. What we probably really want to say is that we went to sleep without eating. To express this, we need to use a more generalized form of the negative request we covered at the very end of the giving and receiving lesson. In other words, instead of substituting the last 「い」 with 「くて」, we need only append 「で」 instead. Went to sleep without eating anything. Went to school without brushing teeth (by accident). It’s better to stop going to class without doing homework. You cannot take this class without consulting with teacher. Hopefully not too difficult. Another way to express the exact same thing is to replace the last 「ない」 part with 「ず」. However, the two exception verbs 「する」 and 「くる」 become 「せず」 and 「こず」 respectively. It is also common to see this grammar combined with the target 「に」 particle. This version is more formal than 「ないで」 and is not used as much in regular conversations. He went home without saying anything. Obviously, you’re going to get drunk if you drink that much without eating anything. I don’t think you can get in Tokyo University without studying. Finally, we cover another type of negative that is used mostly by older men. Since 「ない」 is so long and difficult to say (sarcasm), you can shorten it to just 「ん」. However, you can’t directly modify other words in this form; in other words, you can’t make it a modifying relative clause. In the same manner as before, 「する」 becomes 「せん」 and 「くる」 becomes 「こん」 though I’ve never heard or seen 「こん」 actually being used. If you have ever heard ｢すまん」 and wondered what that meant, it’s actually an example of this grammar. Notice that 「すみません」 is actually in polite negative form. Well, the plain form would be 「すまない」, right? That further transforms to just 「すまん」. The word brings up an image of おじさん but that may be just me. Anyway, it’s a male expression. You must marry a Korean! I won’t let you do such a thing! I didn’t know everybody was going today. There is yet another version of the negative verb conjugation and it uses 「ぬ」 instead of the 「ない」 that attaches to the end of the verb. While this version of the negative conjugation is old-fashioned and part of classical Japanese, you will still encounter it occasionally. In fact, I just saw this conjugation on a sign at the train station today, so it’s not too uncommon. For any verb, you can replace 「ない」 with 「ぬ」 to get to an old-fashion sounding version of the negative. Similar to the last section, 「する」 becomes 「せぬ」 and 「くる」 becomes 「こぬ」. You may hear this grammar being used from older people or your friends if they want to bring back ye olde days. You must not marry a Korean! After having failed mock examination any number of times, a result I wouldn’t have thought came out when I actually tried taking the test. This is a short easy lesson on how to transform verbs into adjectives describing whether that action is easy or difficult to do. Basically, it consists of changing the verb into the stem and adding 「やすい」 for easy and 「にくい」 for hard. The result then becomes a regular i-adjective. Pretty easy, huh? To describe an action as being easy, change the verb to the stem and add 「やすい」. To describe an action as being difficult, attach 「にくい」 to the stem. The result becomes a regular i-adjective. This hand-writing is hard to read. Cocktails are easier to drink than beer. Since the room was dark, it was hard to see. As an aside: Be careful with 「見にくい」 because 「醜い」 is a rarely used adjective meaning, “ugly”. I wonder if it’s just coincidence that “difficult to see” and “ugly” sound exactly the same? Of course, you can always use some other grammatical structure that we have already learned to express the same thing using appropriate adjectives such as 「難しい」、「易しい」、 「簡単」、「容易」、etc. The following two sentences are essentially identical in meaning. That meat is hard to eat. The thing of eating that meat is difficult. The kanji for 「にくい」 actually comes from 「難い」 which can also be read as 「かたい」. As a result, you can also add a voiced version 「～がたい」 as a verb suffix to express the same thing as 「にくい」. 「にくい」 is more common for speaking while 「がたい」 is more suited for the written medium. 「にくい」 tends to be used for physical actions while 「がたい」 is usually reserved for less physical actions that don’t actually require movement. However, there seems to be no hard rule on which is more appropriate for a given verb so I suggest searching for both versions in google to ascertain the popularity of a given combination. You should also always write the suffix in hiragana to prevent ambiguities in the reading. I am treating importantly the hard to forget memories of and with him. It’s a very difficult to believe story but it seems (from hearsay) that it really happened. Yet another, more coarse variation of stem + 「にくい」 is to use 「づらい」 instead which is a slightly transformed version of 「辛い」（つらい）. This is not to be confused with the same 「辛い」（からい）, which means spicy! Man, Japanese is hard to read. Please don’t pick a difficult to understand location for the meeting arrangement. If you were wondering how to make comparison in Japanese, well wonder no more. We will learn how to use 「方」 and 「より」 to make comparisons between two things. We will also learn other uses of 「方」 and 「よる」 along the way. The noun 「方」 is read as 「ほう」 when it is used to mean a direction or orientation. As an aside, it can also be read as 「かた」 when it is used as a politer version of 「人」. When we use 「方」 to mean direction, we can use it for comparison by saying one way of things is better, worse, etc., than the other way. Grammatically, it works just like any other regular nouns. Use it with nouns by utilizing the 「の」 particle. Grammatically, it’s no different from a regular noun. For non-negative verbs, you can also use the past tense to add more certainty and confidence, particularly when making suggestions. It’s better for your health to eat slowly. It was faster to go from this way. The same thing does not apply for negative verbs. It’s better not to watch scary movie(s). The negative verb is only in the past tense when the comparison is of something that happened in the past. It was better not to have drunk that much. For those curious about the meaning of the proverb, dango is a sweet doughy treat usually sold at festivals. The proverb is saying that people prefer this treat to watching the flowers, referring to the 「花見」 event where people go out to see the cherry blossoms (and get smashed). The deeper meaning of the proverb, like all good proverbs, depends on how you apply it. Of course, there is no rule that 「より」 must be used with 「方」. The other way of things can be gleaned from context. Suzuki: I don’t like going to work everyday. Smith: It’s not as bad as opposed to not having a job. Words associated with 「より」 do not need any tense. Notice in the following sentence that 「食べる」 in front of 「より」 is present tense even though 「食べる」 in front of 「方」 is past tense. It is better to eat slowly as opposed to eating quickly. You can also use 「より」 with question words such as 「誰」、「何」、or 「どこ」 to make a superlative by comparing with everything or everybody else. In this case, though not required, it is common to include the 「も」 particle. We place value in product’s quality over anything else. Can do this job more quickly than anyone else. You can also attach 「方」 to the stem of verbs to express a way to do that verb. In this usage, 「方」 is read as 「かた」 and the result becomes a noun. For example, 「行き方」（いきかた） means, “the way to go” or 「食べ方」（たべかた）means, “the way to eat”. This expression is probably what you want to use when you want to ask how to do something. Do you know the way to go to Shinjuku? Eating in that way is not good for your body. Can you teach me the way of writing kanji? Probably everybody knows the way to use PC’s. When verbs are transformed to this form, the result becomes a noun clause. Sometimes, this requires a change of particles. For instance, while 「行く」 usually involves a target (the 「に」 or 「へ」 particle), since 「行き方」 is a noun clause, example 1 becomes 「新宿の行き方」 instead of the familiar 「新宿に行く」. When you want to say, “depending on [X]”, you can do this in Japanese by simply attaching 「によって」 to [X]. The story is different depending on the person. Fruit becomes tasty or nasty depending on the season. This is simply the te-form of 「よる」 as seen by the following simple exchange. Kazuko: Shall we go drinking today? Daiki: That depends on Yuuko. Another expression using 「よる」 is by using it with the target and the decided conditional 「と」 to indicate a source of information. In English, this would translate to “according to [X]” where 「によると」 is attached to [X]. According to the weather forecast, I hear today is rain. According to a friend’s story, it appears that Tomoko finally found a boyfriend. In Japanese there are many different ways to express likeness or similarity depending on appearance, behavior, or outcome. When learning these expressions for the first time, it is difficult to understand what the differences are between them because they all translate to the same thing in English. This lesson is designed to study the differences between these expressions so that you can start to get a sense of which is appropriate for what you want to say. We’ve already briefly gone over 「よう」 and learned that 「よう」 means an appearance or manner. We can use this definition to say that something has an appearance or manner of a certain state. This word can be used in many ways to express similarity. The simplest example is by directly modifying the relative clause. When the sentence ends in 「よう」, you must explicitly express the state-of-being by adding 「だ」, 「です」, or 「でございます」. Looks like no one is here. Looks like (he) watched the movie. When directly modifying nouns or na-adjectives, you must use the 「の」 particle for nouns or attach 「な」 to na-adjectives. Looks like it’s a student. Notice that example 1 does not say that the person looks like a student. Rather, the declarative 「だ」 states that the person appears to be a student. On a side note, you can’t say 「おいしいようだ」 to say that something looks tasty. This is like saying, “This dish apparently is tasty,” which can actually be kind of rude. You can also use it as a na-adjective to describe something that appears to be something else. Had a feeling like I saw that person before. He has a student-like atmosphere. Finally, we can attach the target particle to say things like, “I heard it like that” or “I said it like…”. Was able to hear it like (she) was a little mad. Said (it) like nothing happened. Another way to express similarity which is considered more casual is by using 「みたい」. Do not confuse this with the 「たい」 conjugation of 「見る」. The main difference is that this 「みたい」 can be attached directly to nouns, adjectives, and verbs just like particles which i-adjectives like 「～たい」 obviously can’t do. Attach 「みたい」 to the noun that bears the resemblance. 「みたい」 conjugates like a noun or na-adjective and not an i-adjective. Looks like it’s sold out already. Looking at the uniform-wearing figure, (person) looks like a student. The implied meaning here is the person wearing the uniform is not really a student because he/she only looks like a student. This is different from example 3 from the previous 「よう」 section which implied that the person appears to be (but might not be) a student. Again, we also can’t say 「おいしいみたい」 to say that something looks tasty because it implies that, in actuality, the food might not be so good. Don’t forget that 「みたい」 does not conjugate like the 「～たい」 form or i-adjectives. Doesn’t this pizza looks like okonomiyaki? 「みたい」 is a grammar used mostly for conversational Japanese. Do not use it in essays, articles, or anything that needs to sound authoritative. You can use 「よう」 instead in the following fashion. It appears that it is sold-out already. This pizza looks like okonomiyaki. The problem with English is that the expression, “seems like” has too many meanings. It can mean similarity in appearance, similarity in behavior or even that current evidence points to a likely outcome. We will now learn how to say the third meaning: how to indicate a likely outcome given the situation. Just like the grammar we have learned so far in this lesson, we can use this grammar by simply attaching 「そう」 to the end of verbs, and adjectives. However, there are four important different cases. Actually, I just noticed this but the conjugation rules are exactly the same as the 「～すぎる」 grammar we learned in the last section. The only difference is that for the adjective 「いい」, you need to change it to 「よさ」 before attaching 「そう」 to create 「よさそう」. Verbs must be changed to the stem. The 「い」 in i-adjectives must be dropped except for 「いい」. 「いい」 must first be conjugated to 「よさ」. For all negatives, the 「い」 must be replaced with 「さ」. This grammar does not work with plain nouns. 1. Verb must be changed to the stem. Losing my balance, I seemed likely to fall for a moment. 2. The 「い」 in i-adjectives must be dropped. In the next example, the 「い」 has been dropped from 「おいしい」. Exception: The only exception to this rule is the adjective 「いい」. When using this grammar with 「いい」, you must first change it to 「よさ」. This one also seems to be good but, as expected, it’s expensive, huh? Nothing needs to be done for na-adjectives. Knowing you, I bet you like blond-haired girls. 3. For all negatives, the 「い」 must be replaced with 「さ」. The negative of 「来る」 is 「こない」 so when used with 「～そう」, it becomes 「こなさそう」. Since it already became 10:00, it’s likely that (person) won’t come. This isn’t likely to be an ordinary match. like 「もったいない」 or 「情けない」 also follow this rule as well (which would be 「もったいなさそう」 and 「情けなさそう」 in this case). 4. This grammar does not work with plain nouns. There are other grammar we have already covered that can be used to indicate that something is likely to be something else. That person is probably student. Be careful never to use 「かわいい」 with this grammar. 「かわいそう」 is a completely different word used when you feel sorry for something or someone. 「かわいい」 means, “to look cute” already so you never need to use any of the grammar in this lesson to say something looks cute. The reason that there are so many annoying rules to using 「～そう」 is to distinguish it from this next grammar we will learn. This is a useful grammar for talking about things you heard that doesn’t necessary have anything to do with how you yourself, think or feel. Unlike the last grammar we learned, you can simply attach 「そうだ」 to verbs and i-adjectives. For na-adjectives and nouns, you must indicate the state-of-being by adding 「だ」 to the noun/na-adjective. Also, notice that 「そう」 itself must always end in 「だ」、「です」、or 「でございます」. These differences are what distinguishes this grammar from the one we learned in the last section. There are no tenses for this grammar. I hear that it’s going to rain tomorrow. I heard he went to meet everyday. Don’t forget to add 「だ」 for nouns or na-adjectives. I hear that he is a high school student. A: Is Tanaka-san not coming today? 「らしい」 can be directly attached to nouns, adjectives, or verbs to show that things appear to be a certain way due to what you’ve heard. This is different from 「～そうだ」because 「～そうだ」 indicates something you heard about specifically while 「らしい」 means things seem to be a certain way based on some things you heard about the subject. 「らしい」 conjugates like a normal i-adjective. B: Seems like it (based on what I heard). A: What is that person over there? B: Seems to be Miyuki-san’s friend (based on what I heard). Another way to use 「らしい」 is to indicate that a person seems to be a certain thing due to his behavior. That child does not act like a child. Despite the fact that I planned to act like an adult, I ended up making a big ruckus. A really casual way to express similarity is to attach 「っぽい」 to the word that reflects the resemblance. Because this is a very casual expression, you can use it as a casual version for all the different types of expression for similarity covered above. 「 っぽい」 conjugates just like an i-adjective, as seen by example 3 below. That person looks a little like Korean person, huh? It appears that everybody ate everything already. Kyouko is not womanly at all, huh? This lesson will cover various expressions used to express various degrees of amounts. For example, sentences like, “I only ate one”, “That was all that was left”, “There’s just old people here”, or “I ate too much” all indicate whether there’s a lot or little of something. Most of these expressions are made with particles and not as separate words as you see in English. The particle 「だけ」 is used to express that that’s all there is. Just like the other particles we have already learned, it is directly attached to the end of whichever word that it applies to. Just apple(s) (and nothing else). Just that and this (and nothing else). When one of the major particles are also applied to a word, these particles must come after 「だけ」. In fact, the ordering of multiple particles usually start from the most specific to the most general. Just don’t eat that. (Anything else is assumed to be OK). Didn’t sing just this song. That person was the only person I liked. The same goes for double particles. Again 「だけ」 must come first. Cannot use 500 yen coin in just this vending machine. With minor particles such as 「から」 or 「まで」, it is difficult to tell which should come first. When in doubt, try googling to see the level of popularity of each combination. It turns out that 「からだけ」 is almost twice as popular as 「だけから」 with a hit number of 90,000 vs. 50,000. A reply has not come from only Kobayashi-san. Unlike some particles, you can directly attach 「だけ」 to verbs as well. Since the preparations are done, from here we just have to eat. Is it ok to just write [my] name here? A particle that is essentially identical both grammatically and in meaning to 「だけ」 is 「のみ」. However, unlike 「だけ」, which is used in regular conversations, 「のみ」 is usually only used in a written context. It is often used for explaining policies, in manuals, and other things of that nature. This grammar really belongs in the advanced section since formal language has a different flavor and tone from what we have seen so far. However, it is covered here because it is essentially identical to 「だけ」. Just googling for 「のみ」 will quickly show the difference in the type of language that is used with 「のみ」 as opposed to 「だけ」. This boarding ticket is only valid on the date on which it was purchased. The targets of this survey are only college students. I carefully phrased the title of this section to show that 「しか」 must be used to indicate the lack of everything else. In other words, the rest of the sentence must always be negative. As you can see, 「しか」 has an embedded negative meaning while 「だけ」 doesn’t have any particular nuance. Don’t see anything else but this. Today was busy and couldn’t eat anything but breakfast. Notice that unlike 「だけ」, it is necessary to finish off the sentence. Nah, won’t buy anything else but this. While the major particles always come last, it turns out that 「しか」 must come after 「から」 and 「まで」. A google search of 「からしか」 beats 「しかから」 by an overwhelming 60,000 to 600. I didn’t receive anything except from Alice. You can also use this grammar with verbs. There’s nothing to do but try our best! There no choice but to run away once it turns out like this. It’s rotten already so there’s nothing to do but throw it out. 「っきゃ」 is another version of 「しか」 that means essentially the same thing and works exactly the same way. Just substitute 「しか」 with 「っきゃ」 and you’re good to go. This version is a bit stronger than 「しか」 in emphasis but it’s not used nearly as often so I wouldn’t worry about it too much. I briefly cover it here just in case you do run into this expression. There’s nothing but to buy this! If things turn out like this, there nothing to do but to just do it! 「ばかり」 is used to express the condition where there’s so much of something to the point where there’s nothing else. Notice this is fundamentally different from 「しか」 which expresses a lack of everything else but the item in question. In more casual situations, 「ばかり」 is usually pronounced 「ばっかり」 or just 「ばっか」. For example, let’s say you went to a party to find, much to your dismay, the whole room filled with middle-aged women. You might say the following. What the? Isn’t it nothing but obasan? Eww. It’s nothing but obasan. Takashi-kun is reading nothing but comic books… He’s so uncool. It is quite common in casual speech to end midsentence like this. Notice 「読んでて」 is the te-form of 「読んでいる」 with the 「い」 dropped. We assume that the conclusion will come somewhere later in the story. You’re hanging out with Naomi-chan all the time, aren’t you! Lately, it’s nothing but work. 「すぎる」 is a regular ru-verb written 「過ぎる」 meaning, “to exceed”. When 「すぎる」 is attached to the end of other verbs and adjectives, it means that it is too much or that it has exceeded the normal levels. For verbs, you must directly attach 「すぎる」 to the stem of the verb. For example, 「食べすぎる」 means “to eat too much” and 「飲みすぎる」 means “to drink too much”. For adjectives, you just attach it to the end after you remove the last 「い」 from the i-adjectives (as usual). One more rule is that for both negative verbs and adjectives, one must remove the 「い」 from 「ない」 and replace with 「さ」 before attaching 「すぎる」. There is no tense (past or non-past) associated with this grammar. Since 「すぎる」 is a regular ru-verb, this grammar always results in a regular ru-verb. For verbs: First change the verb to the stem and attach 「すぎる」. For na-adjectives: Attach 「すぎる」. For i-adjectives, remove the last 「い」 first before attaching 「すぎる」. I-adjectives that end in 「ない」 which incorporate the negative 「無い」 such as 「もったいない」（勿体無い） or 「情けない」（情け無い） follow the third rule. Most regular i-adjectives such as 「危ない」 or 「少ない」 follow the regular rule (rule 2). Satou-san is good at cooking and I ate too much again. Be careful to not drink too much, ok? It won’t fit in the trunk cause it’s too big, man. It’s too quiet. It might be a trap, you know. Due to too much of a lack of time, I couldn’t do anything. She is totally wasted on him (too good for him). It is also common to change 「すぎる」 into its stem and use it as a noun. A: Man, I don’t remember anything about last night. B: That’s drinking too much. When the 「も」 particle comes after some type of amount, it means that the amount indicated is way too much. For instance, let’s look at the next example. I called you like three times yesterday! Notice that the 「も」 particle is attached to the amount “three times”. This sentence implies that the speaker called even three times and still the person didn’t pick up the phone. We understand this to mean that three times are a lot of times to call someone. I studied three whole hours for the exam. I gained 10 whole kilograms this year! The noun 「ほど」（程） is attached to a word in a sentence to express the extent of something. It can modify nouns as well as verbs as seen in the next example. Today’s weather is not hot to that extent. Busy to the extent that there’s no time to sleep. About Korean food, the more you eat the tastier it becomes. The literal translation is, “About Korean food, if you eat, to the extent that you eat, it becomes tasty.” which essentially means the same thing. The example uses the 「ば」 conditional form, but the 「たら」 conditional will work as well. Since this is a general statement, the contextual 「なら」 conditional will never work. The decided 「と」 conditional won’t work very well here either since it may not always be true depending on the extent of the action. The more I walked, the more I got lost. The more you study, the more you will become smarter. You can also use this grammar with i-adjectives by using the 「ば」 conditional. About iPod, the larger the hard disk capacity, the more songs you can save. It’s not necessarily the case that the cheaper the ticket, the better it is. For na-adjectives, since you can’t use the 「ば」 conditional you have to resort to the 「なら」 conditional. Because it sounds strange to use the 「なら」 conditional in this fashion, you will hardly ever see this grammar used with na-adjectives. Since 「ほど」 is treated as a noun, make sure you don’t forget to use 「な」 to attach the noun to the na-adjective. The shorter and simpler the sentences, the better it is. We will now learn how to add 「さ」 to adjectives to indicate an amount of that adjective. For example, we can attach 「さ」 to the adjective for “high” in order to get “height”. Instead of looking at the height, we can even attach 「さ」 to the adjective for “low” to focus on the amount of lowness as opposed to the amount of highness. In fact, there is nothing to stop us from using this with any adjective to indicate an amount of that adjective. The result becomes a regular noun indicating the amount of that adjective. The result becomes a regular noun. What is the height of this building? If you compare the level of sensitivity of hearing of dogs to humans, it is far above. In general, Japanese people don’t assert themselves of something unless they are absolutely sure that it is correct. This accounts for the incredibly frequent use of 「～と思う」 and the various grammatical expressions used to express specific levels of certainty. We will go over these expressions starting from the less certain to the most certain. 「かもしれない」 is used to mean “maybe” or “possibly” and is less certain than the word 「多分」. It attaches to the end of a complete clause. For noun and na-adjective clauses, the declarative 「だ」 must be removed. It can also be written in kanji as 「かも知れない」 and you can treat it the same as a negative ru-verb (there is no positive equivalent) so the masu-form would become 「かもしれません」. In casual speech, it can be abbreviated to just 「かも」. There is also a very masculine version 「かもしれん」, which is simply a different type of negative verb. Smith-san may have gone to the cafeteria. The game may become canceled by rain, huh? I might have already seen this movie once. That might be Yoyogi park over there. Might not be able to escape anymore, you know. 「でしょう」 is used to express a level of some certainty and is close in meaning to 「多分」. Just like 「～です／～ます」, it must come at the end of a complete sentence. It does not have any other conjugations. You can also replace 「～ですか」 with 「～でしょうか」 to make the question sound slightly more polite and less assuming by adding a slight level of uncertainty. Where (are you) going from here? If you want to sound really, really polite, you can even add 「～でしょうか」 to the end of a 「～ます」 ending. 休ませていただけますでしょうか。- May I receive the favor of resting, possibly? A: Ah! We’re going to be late! B: That’s why I told you there was no time! A: You’re going to eat from now aren’t you? B: So what if I am? A: You’re going to help me clean, right? B: Huh? Is that so? 「だろう」 means essentially the same thing as 「でしょう」 except that it sounds more masculine and is used mostly by males. A: You’re going home already, right? We’ve already learned how to use generic nouns in order to modify nouns. Now we will go over some special expression used with generic nouns. When you combine 「こと」, the generic word for an event with 「ある」, you can talk about whether an event exists or not. There are times when I do homework while staying up all night. I never go by myself. Using the past tense of the verb with 「こと」, you can talk about whether an event has ever taken place. This is essentially the only way you can say “have done” in Japanese so this is a very useful expression. You need to use this grammar any time you want to talk about whether someone has ever done something. Have you ever gone to Paris? You’ve never seen a Japanese movie? It would be nice if I ever go to Europe. I had never seen anything like that. I’ve never gone, not even once. 「ところ」（所） is usually used to indicate a generic physical location. However, it can also hold a much broader meaning ranging from a characteristic to a place in time. Come quickly. We’re at the good part of the movie. His personality has some gentle parts too. Class has ended just now. I was just about to go from now. The generic object noun 「もの」 can be used as a casual and feminine way of emphasizing something. This is identical to the explanatory feminine emphasis expressed by the 「の」 particle. Just like the explanatory 「の」 particle, the 「の」 is often changed into 「ん」 resulting in 「もん」. Using 「もん」 sounds very feminine and a little cheeky (in a cute way).